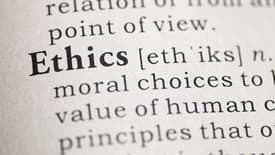 Registration is underway for an Ethics Conference for Social Work Professionals scheduled for Monday, April 23, at UNC Charlotte Center City. This four and a half hour conference begins at 8 a.m. and features a keynote presentation by Joanne Hessmiller, associate professor of social work at N.C. A&T State University. Two breakout workshops also are on the agenda, followed by a panel discussion on human trafficking. Registrants earn 4.5 CEUs. More information is on the web.